The Vietnamese Visa application form is an important document that you have to submit to the Immigration Officer when entering Vietnam. Since March 1, 2015, the old entry and exit form has been replaced by a new one which was renamed into VIETNAMESE VISA APPLICATION FORM. As such, the old form is currently invalid. 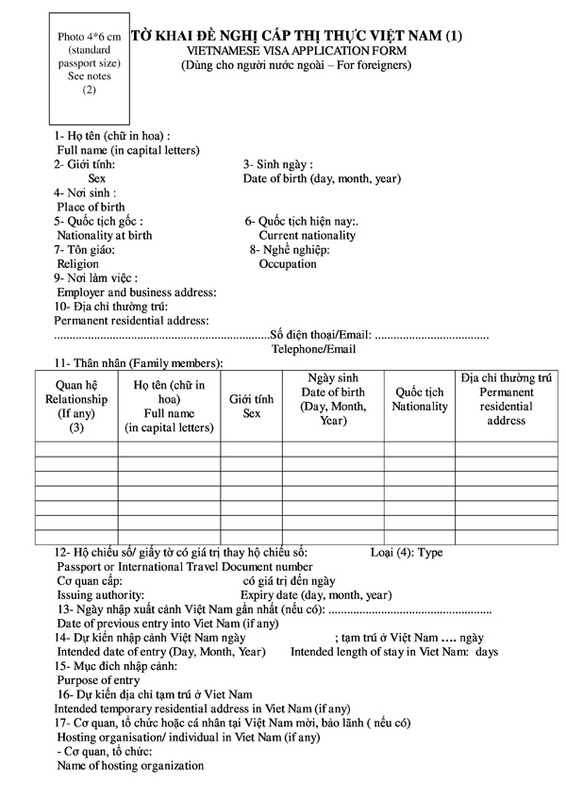 So in case you received the old form for getting Vietnam visa on arrival at the airport from any travel agent, please ignore it, download the new version then fill it out and bring it together with you upon departure for Vietnam. 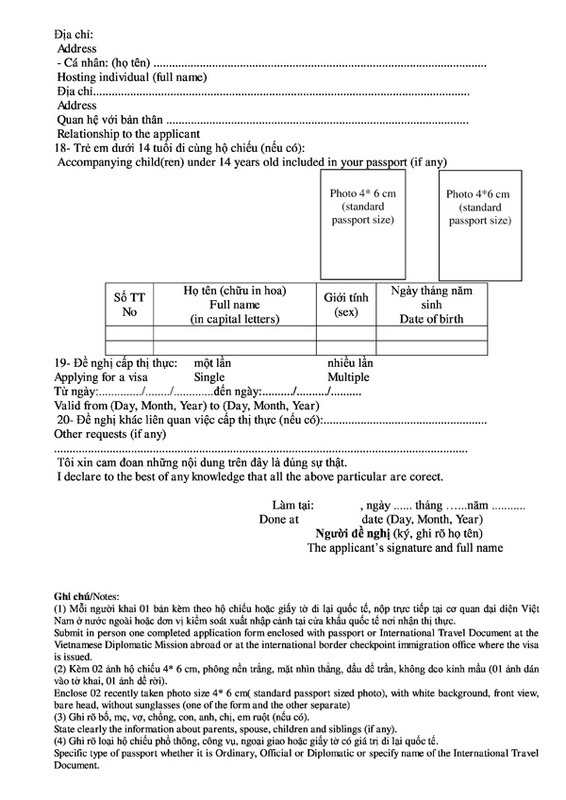 In case you have not got the Vietnamese visa application form from any source yet, you can take one at the airport upon your arrival to fill out with your information. However, it may take you 5 to 10 minutes to fill out. So we highly recommend you to download and fill it out before departing for Vietnam for time saving. You can find it on the link: goo.gl/GIyyMA.